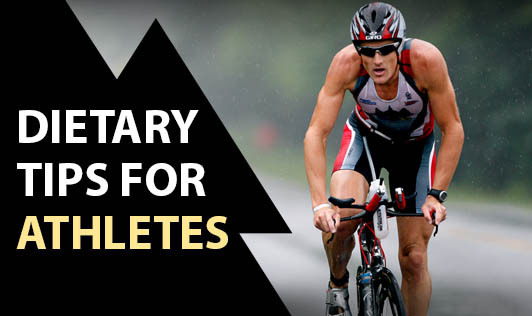 Athletes who get the right nutrition are more likely to perform the best of them. The right diet will help the body to make energy efficiently and will fuel top performance. Their diet is based on a variety of factors including age, size and physical condition; and the type of exercise they are doing. Eating a balanced diet is another key to sports nutrition. The right combination of calories from carbohydrates, proteins and fats gives you energy for top performance. 1. An adequate, balanced diet is necessary for an effective performance. 2. Drink water before, during and after exercise to keep the body well hydrated. 3. Coffee, tea, beer and other caffeine containing drinks needs to be avoided. 4. If the fat intake is less than required, it won't be able to make any contribution in boosting your performance level. 5. It is vital to plan out your pre exercising or sports meal that works best towards charging your energy. Limit the quantity of salt and simple sugar. 6. Don't change your diet plan before going in for your sports competition. 7. Fasting is not recommended for sportspersons, as it is likely to hamper their performance level.